People love their pets and we treat them as if they’re members of the family. When a pet passes, it can be a very dark time in our lives. The loss of a pet often times feels like the loss of a close relative and is likely to affect both physical and mental health. Researchers from the University of Hawaii’s animal science department did a study to determine the level of grief and stress that a pet owner experiences when a pet dies. The veterinary clinic interviewed 106 pet owners and found that 52 percent had lost one or more pets from natural causes and 37 percent had lost a pet to euthanasia. Although many pet owners experience great grief when a pet dies, about 30 percent reported grief that lasted six months or longer. Severe grief that resulted in major life disruption was not as common however; it was estimated to have been experienced by as high as 12 percent of those studied. Although the loss of a pet if often times life altering, it is not always recognized by friends, acquaintances, or co-workers. 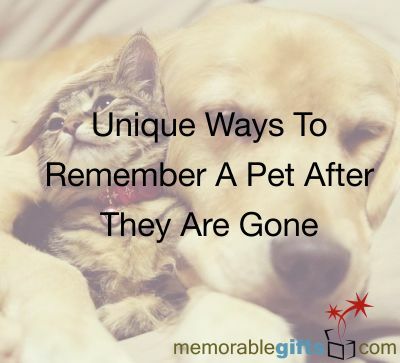 Because the loss of pet doesn’t always get treated as a significant or authentic occasion for grieving, people may not always know how to cope with their loss or a friend’s loss. It is important to note that great grief over the loss of a pet is natural and normal. Don’t let anyone tell you that you’re overreacting or that you’re being overly emotional. Our pets become significant parts of our lives as they are a source of comfort and companionship. Pets give us love and make us feel accepted. Don’t be surprised if the loss of a pet brings you feeling of devastation. The best thing you can do to help yourself cope is to be honest with your feelings. Don’t deny your pain or any of your feelings. Some owners find it helpful to express their feelings and memories in pet memorials, photos, or even photo collages. You should never feel that getting in touch with someone who’s just lost a pet is an intrusion. It’s the support of friends and acquaintances that help ease the pain one may be experiencing. Give your friend your condolences and offer specific ways in which you can help them. Giving your friend something to remember their pet by is not inappropriate. In fact, it’s quite the opposite. Giving your friend a pet memorial gift will show you care and will give them something they can hold onto. 1. 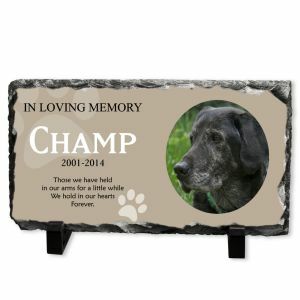 Personalized pet memorial plaques– Plaques are a great way to recognise your furry friend that has passed. They can be displayed anywhere and will always remind you of the cherished memories. 2. 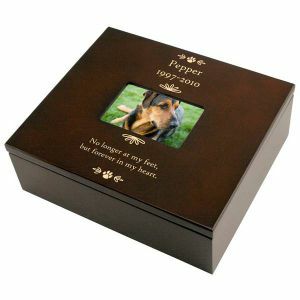 Personalized pet keepsake boxes– Keepsake boxes are perfect for keeping small mementos of your pet. Keep things like collars, old toys, and pictures. The box itself will serve as a keepsake and so will everything inside. 3. 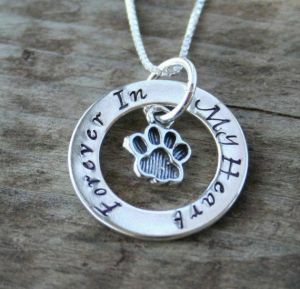 Pet memorial jewelry- Jewelry is great because you can carry it with you everywhere. A necklace will be kept close to your heart and cherished for years. Personalize your pet memorial necklace with the name of your furry friend and you will surely never forget about those happy memories. 4. 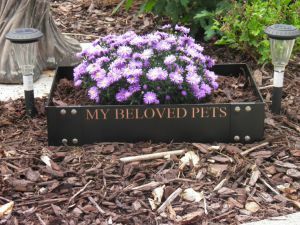 Personalized pet memorial planters- Planters serve as great stationery pet memorials. As the plants inside grow so will the happy memories that surround your late furry companion. 5. Pet memorial ornaments– Ornaments are brought out once a year during the happiest time of the year. 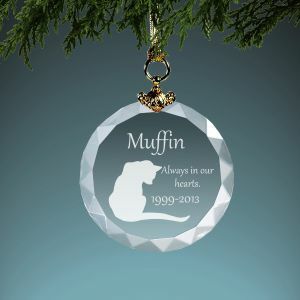 A pet memorial ornament will honor your pet every year and will warm your heart on those cold winter nights. Memorable Gifts wants to know how you keep your pet’s memories alive after they’ve gone. Comment below and let us know.